1,231 people read this post. Attacks against Muslims in the country have in the recent past been directed at ethnic Rohingyas, a community that the Burmese government does not recognise as legal citizens. Last year, 5000 were killed by rampaging Buddhist gangs, drawing worldwide attention to their desperate situation. So serious and gruesome were the mass killings that the United Nations labeled the Rohingya as the most oppressed people in the world. But this week’s attacks in the town of Meikhtila have shown a worrying new development. “These Muslims who were killed in Meikhtila were Burmese citizens. They have been established in Burma for hundreds of years if not thousands of years. So these are not foreigners, these are their own people,” explained Ahmed. In the last week 18 000 people have been displaced. While Ahmed said that Muslims have tried to defend themselves and have refused to give up their lives without a fight, they have in no way provoked the Buddhists. “The reason why this attacked happened is almost unknown. We have been trying to trace the reason as to why this has happened. The best explanation we can come up with, was that there a disagreement between a Muslim gold shop seller and a Buddhist customer who went and reported this to his monastery and it somehow managed to spiral,” he said. The government has shown total apathy to the crimes carried out by the Buddhists citizens. There are reports that security authorities stood by and watched the unfolding violence and only acted after two days following an order from central authorities. The fresh savage violence against Burmese Muslims is unforgivable, as is the statement from a local MP in the town of Meiktila that “Nobody saw this coming”. The outside world has been appalled at the ongoing murderous assaults in Burma’s Rakhine state in which some 200 Rohingya Muslims were killed and tens of thousands forced to flee their homes. Now the bigoted hatred of Buddhist thugs has moved to other parts of the country. The attacks this week in which Muslim properties and shops were sacked, a mosque was burnt down and at least 50 people were slain have spread to communities only 50 kilometers from Yangon. Indeed even in the city Buddhist gangs have been confronting Muslims, who have banded together in groups to defend themselves. This anti-Muslim aggression should not be a surprise to anyone. Indeed, it could be argued that the government of President Thein Sein should have anticipated that their own supine and totally inadequate response to the butchery of the Rohingya in the north of the country was almost certainly giving a green light to extreme Buddhist groups elsewhere to pursue their hatred of their Muslim neighbors. A key point here is that originally, the Burmese government sought to dismiss the attacks on the Rohingya minority as being a manifestation of long-held local resentment at an immigrant community that did not have the right to live in the country. The refusal to grant citizenship and official recognition to these unfortunate people merely encouraged sectarian violence. What was worse was that police and the courts and the army, when it was finally despatched to stop the violence, clearly took a highly partisan approach. One army officer reportedly told a Rohingya leader: “If you were not here, there would be no violence against you”. With such an attitude, it is hardly surprising that local Buddhist toughs thought that they were being empowered to pursue their vicious campaign. And fellow chauvinists elsewhere in the country were clearly marking the lesson. Now Burma is in danger of tumbling into widespread intercommunal violence. It is not enough that the country’s military is apparently withdrawing from politics and that the political future appears dominated by the widely-respected Nobel peace laureate Aung San Suu Kyi. She may be an international political icon, but for all her past bravery and achievements, she must be judged by how firmly she works with the government to crack down on this evil cancer that has emerged in Burma. 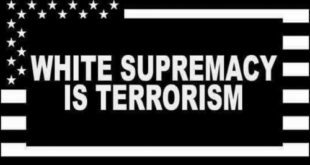 The fact of the matter is that all the evidence clearly shows that the violence was planned. There are grounds for believing the Buddhist monks, once the heroes of resistance against the military, were behind the violence, distributing anti-Muslim pamphlets and filming themselves brandishing weapons There is also speculation that the military may have played a role in fomenting the violence in an attempt to discredit the political changes taking place. Whatever the truth, the authorities need first to act decisively to stop the bloodshed. Then they must identify and pursue the perpetrators and ensure that they are properly tried and punished. Aung San Suu Kyi won freedom for herself and for her country by insisting that the Burmese military should only be overthrown through peaceful protest. 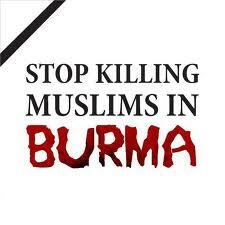 What is now happening to Muslims in Burma is a complete negation of everything for which she stands. She must back decisive countermeasures. Next Balancing the rights of husband and parents?